My sweet Audrey. She blows me away sometimes. When I'm least expecting it! As parents, we can only hope that we are imparting good things on our children. Sometimes, we are better at it then others (like at 7:30pm, my rough time of night where my tone of voice isn't always my best). And then we go to open house and see things like this. 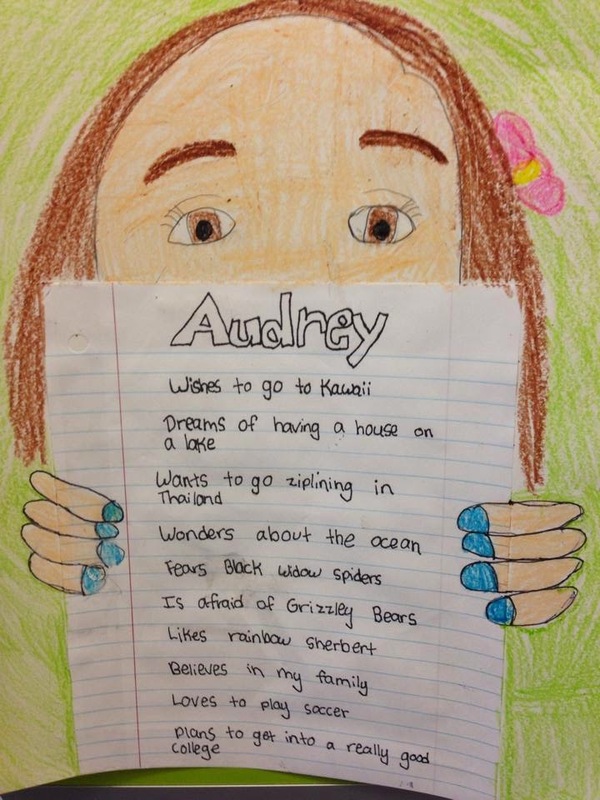 Audrey clearly has her priorities in order and is dreaming big...... I couldn't have asked for a better anniversary gift! Keep on dreaming Audrey ! To my favorite (and only) daughter - I love you more than you can possibly imagine. Flying U Ranch Adventures! Best tradition ever!